2018 Raffle Rig - Won by James Stockton. Congratulations!!!! 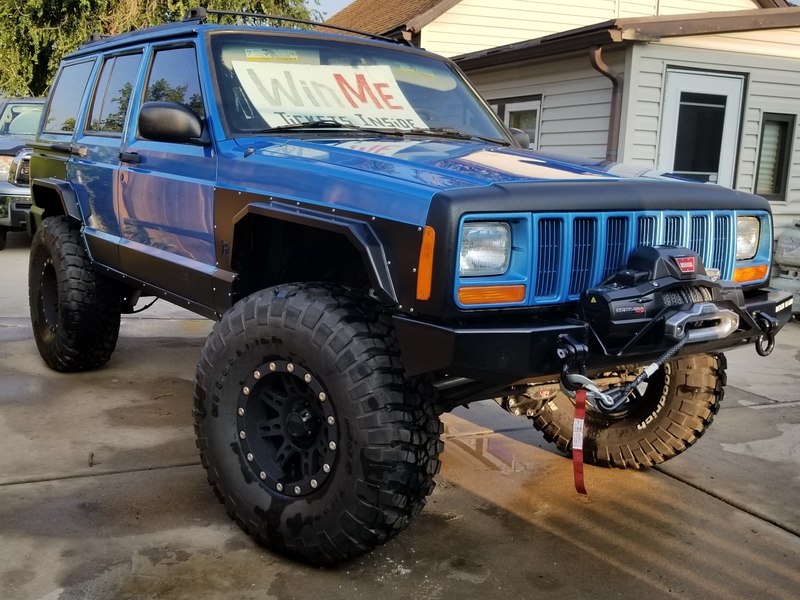 The Colorado Association of 4WD Clubs is a not-for-profit (contributions are not tax deductible) umbrella organization for four-wheel drive clubs in the state of Colorado. We began in 1968. 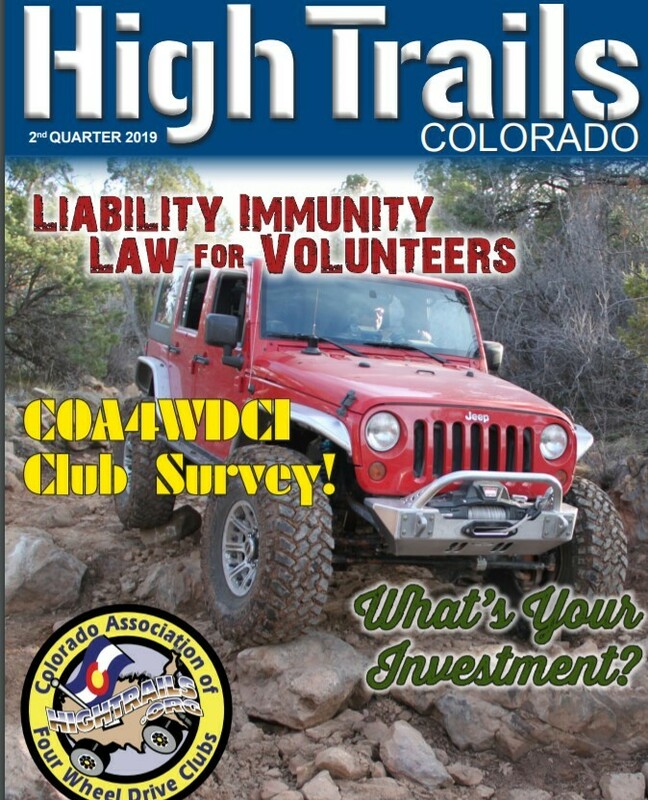 We are members of the Colorado Off-Highway Vehicle Coalition, and United Four-Wheel Drive Associations and are voting members of Tread Lightly! Annually we donate to Mountain States Legal Foundation and to Colorado based organizations that support the four-wheel drive community such as; Stay the Trail, Four-Wheel Drive Emergency Assistance Team (FEAT), Colorado 4x4 Rescue & Recovery, Colorado Off-Road Enterprise (CORE) and the Colorado Off-Highway Vehicle Coalition Legal Defense Fund (COHVCO) in order to support legal actions that maintain public access to public lands. We support our clubs’ efforts thru the Adopt-A-Trail program with funding for trail project thru our Trails Grant Program. To support the education of our young four wheelers, we give out an annual Scholarship toward post-secondary education. The Colorado Association is more than a financial supporter of public access. Every year, our clubs do over 10,000 hours of volunteer work on the campgrounds, picnic grounds, hiking trails, and 4WD roads of Colorado. We also participate in the National Trails Day event in June by taking a group of physically challenged people on a 4WD trip into the Rocky Mountains for the day. Many of our Member Clubs with the support of our Associate (Business) Members put on annual events. The Association meets four times annually, once each quarter, to conduct our association business and to share information about upcoming events. Annually, we also vote for the associations Four-Wheeler of the Year, and Club of the Year for an individual(s) and club(s) that have shown outstanding support for motorized recreation. The Larimer County Four Wheel Drive Club has been hosting an Annual "Fun Daze" Event since 2015. It has been held every year in October since then.